Since the start of the refugee crisis in Iraq, the Jiyan Foundation has been able to assist some 14,000 refugee families through the distribution of emergency aid with the generous support of Misereor. Our teams volunteered to deliver water and food packages, milk for babies, hygiene kits as well as heating and cooling devices in cooperation with local communities, churches, mosques and camp managers. 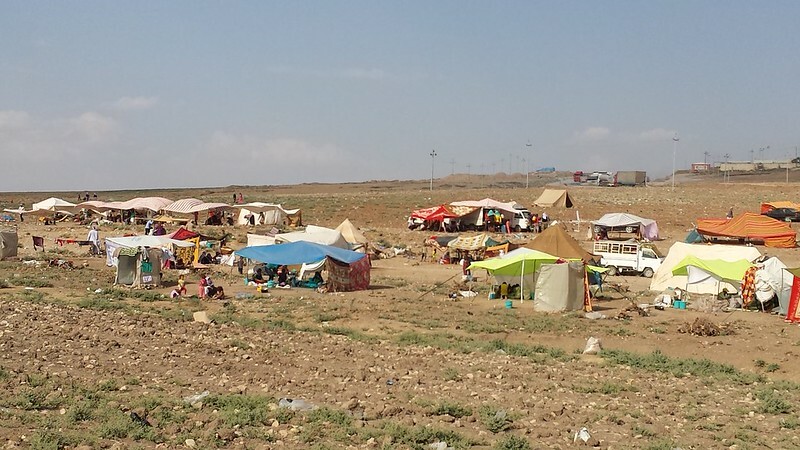 In winter 2014, when thousands of Yazidi survivors of IS terror got stuck on Mount Sinjar, the Jiyan Foundation managed to send more than one ton of relief items by helicopter and cars. In May 2015 we distributed water-powered air conditioners to the 3120 Yazidi families living in the Khanke camp near Duhok. With outside temperatures approaching 50°C, these air coolers came as a huge relief. With your donation you can support our aid programs for refugee families in Iraq.